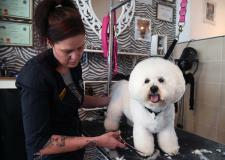 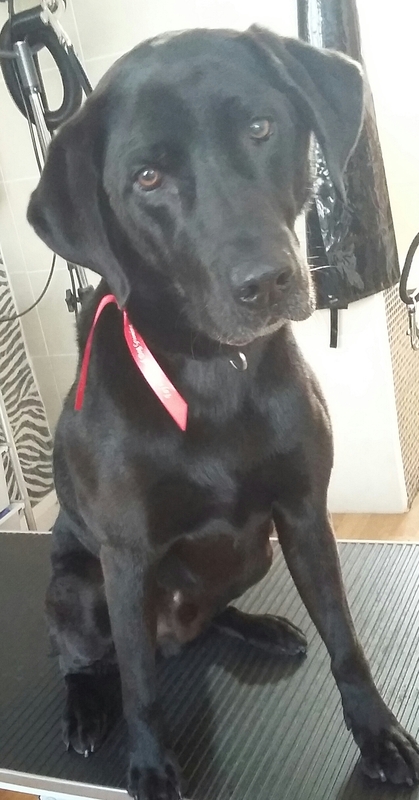 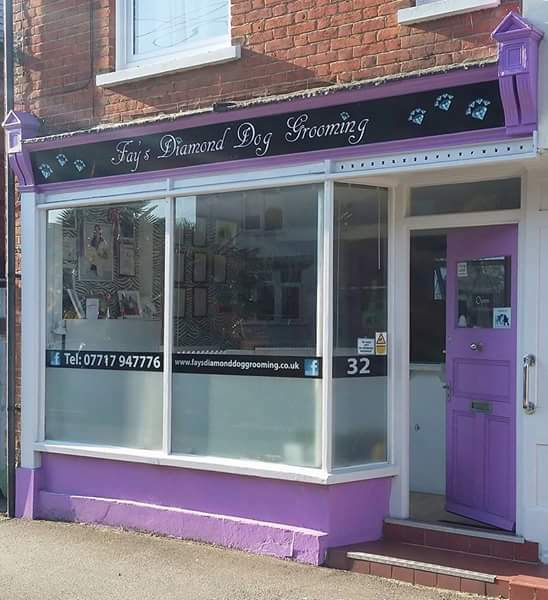 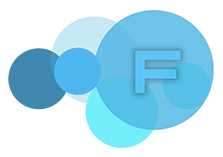 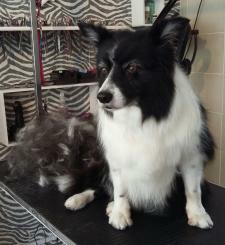 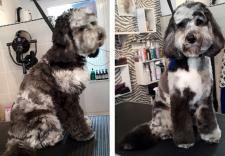 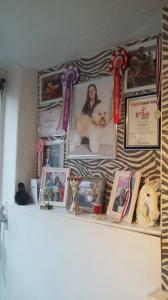 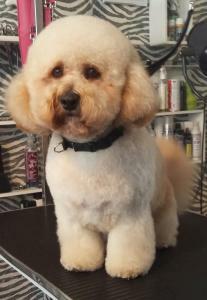 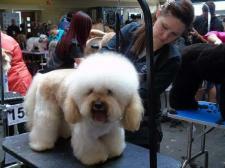 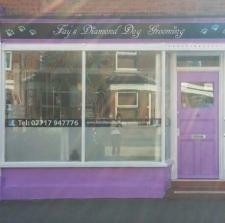 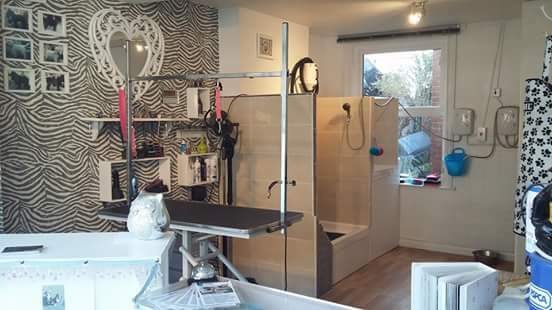 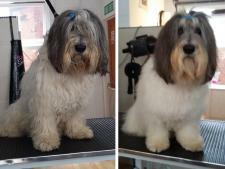 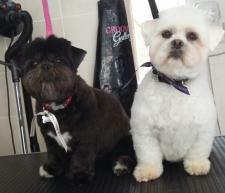 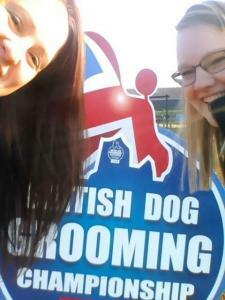 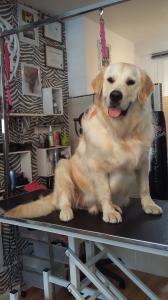 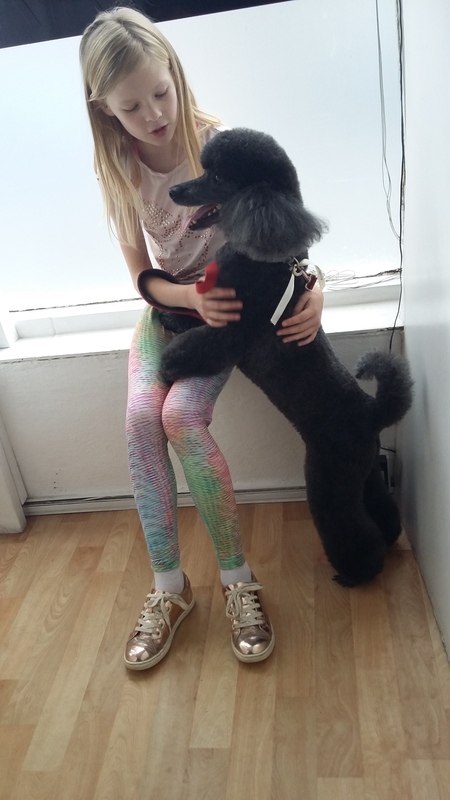 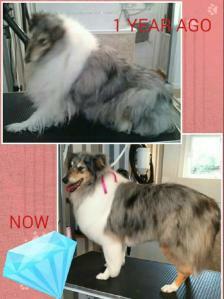 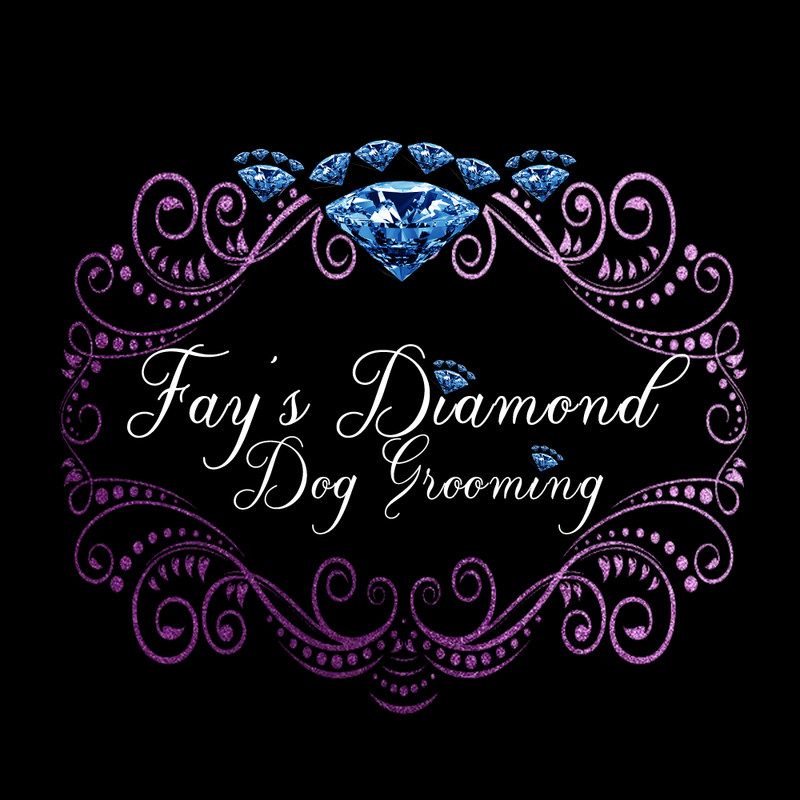 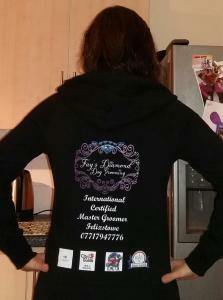 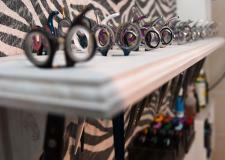 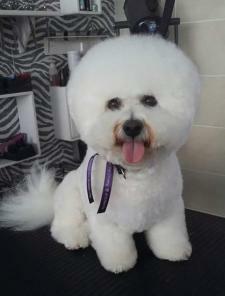 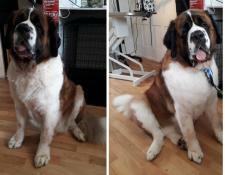 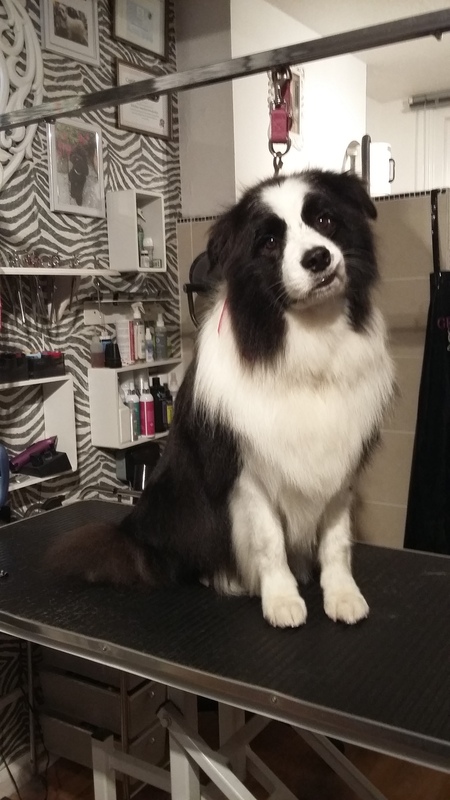 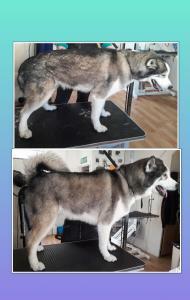 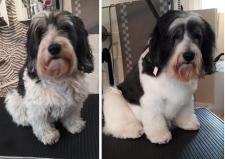 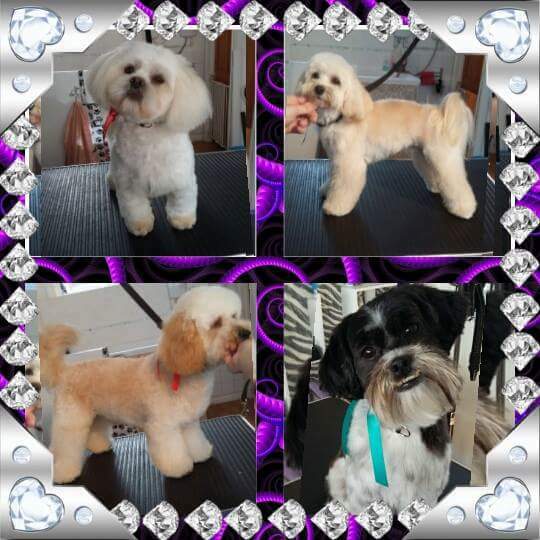 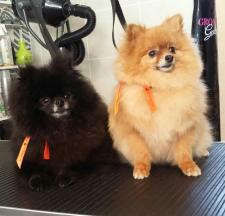 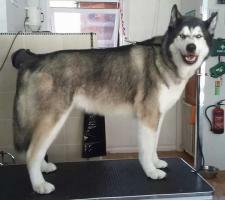 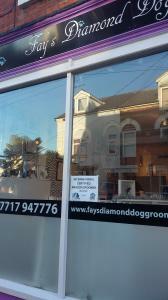 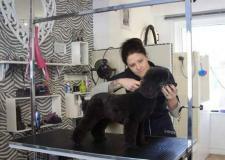 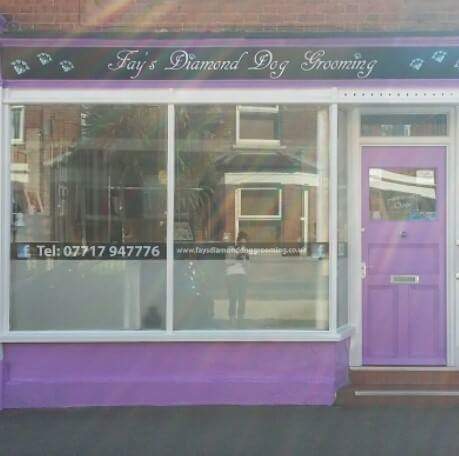 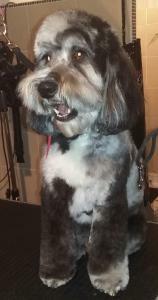 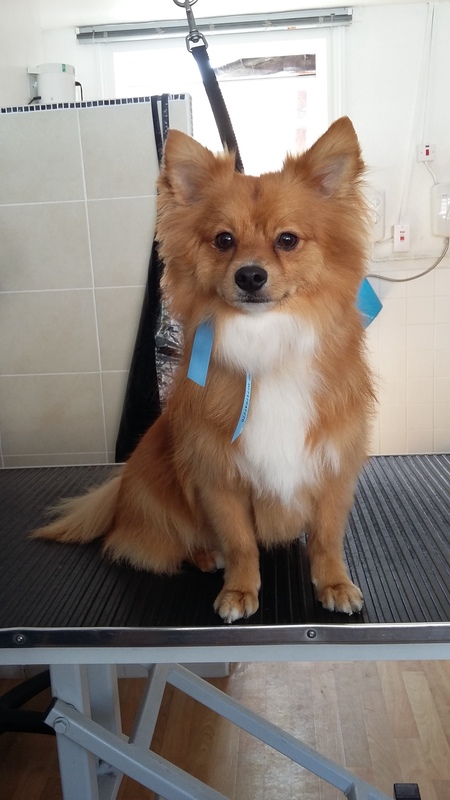 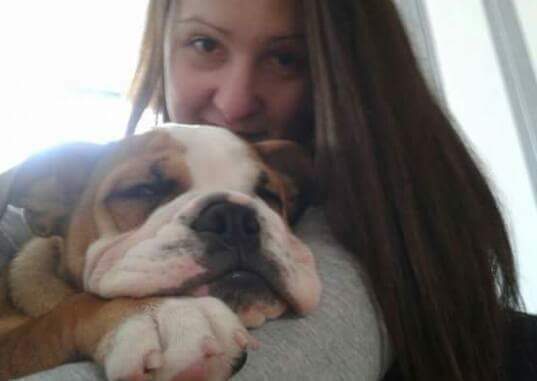 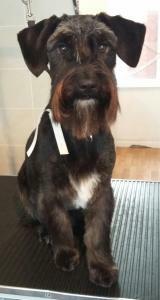 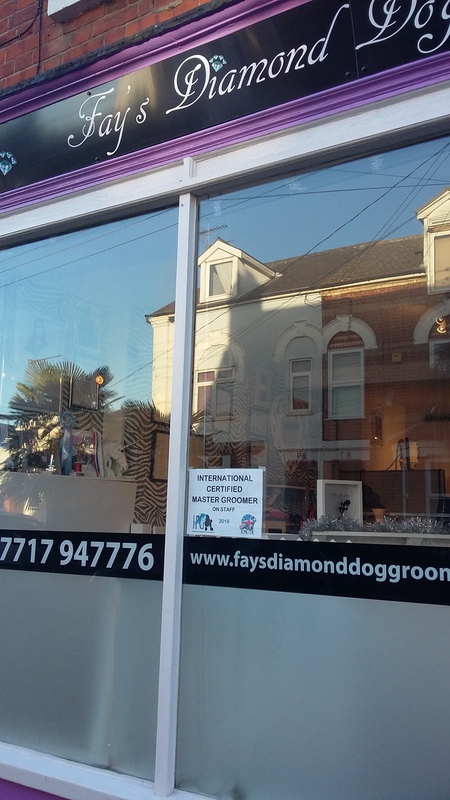 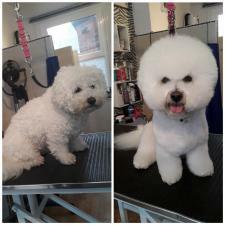 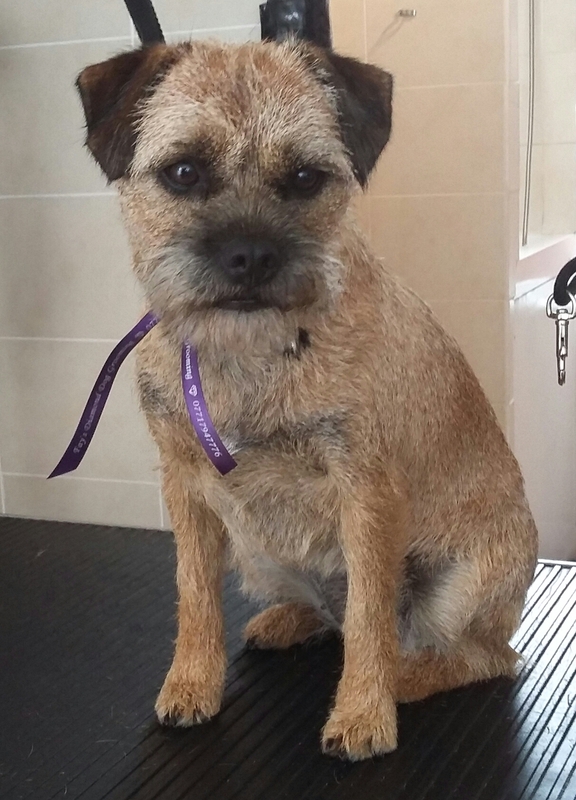 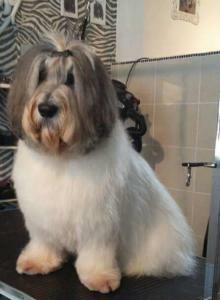 Hi, I’m Fay, the owner and stylist here at Fay`s Diamond Dog Grooming. I have always loved animals and like a magnet find myself drawn to them. 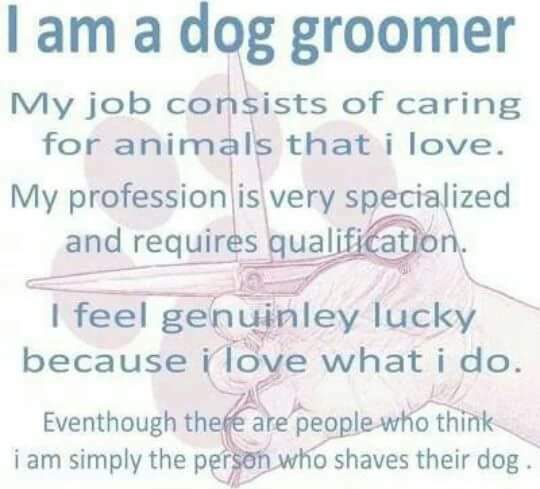 I have been very lucky to grow up my entire life with a variety of animals such as guinea pigs, ferrets, fish, cats, and a wide variety of breeds of dogs, ranging from a Long haired Dachshund, Basset hound, German Shepherd Dog, St Bernard’s, Great Dane and Bernese Mountain Dog, Cocker Spaniel, Border Collie and Romanian rescue mix breeds. 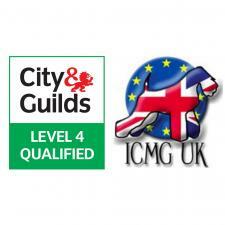 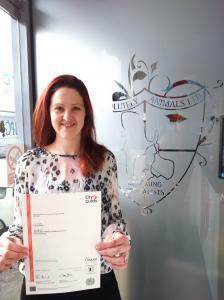 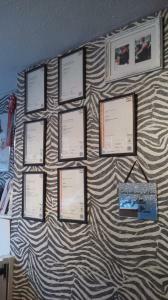 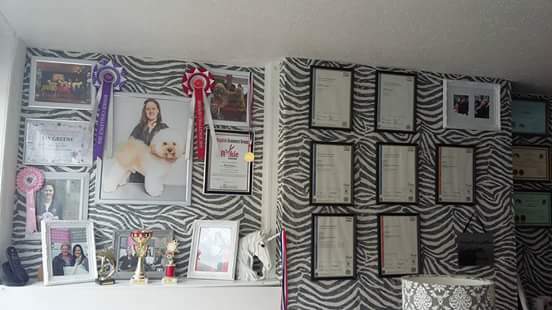 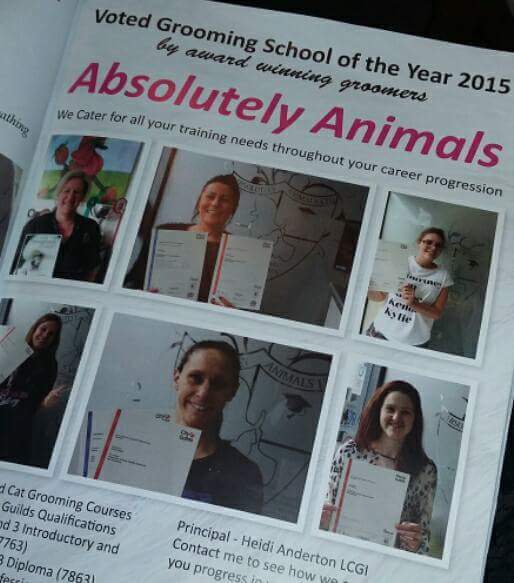 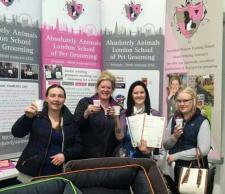 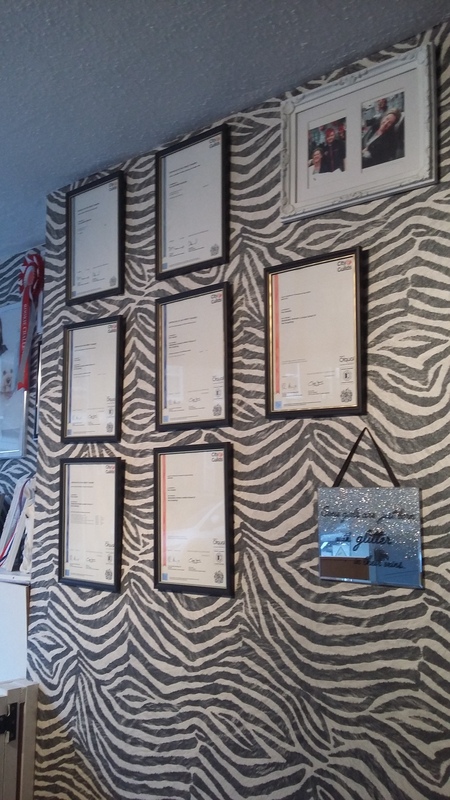 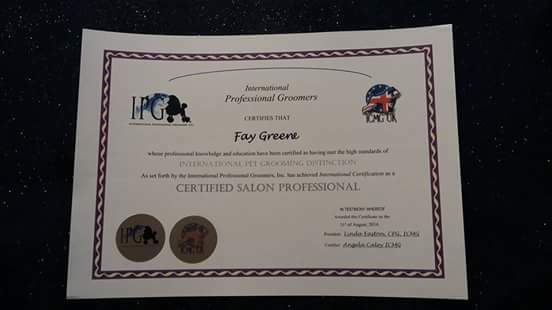 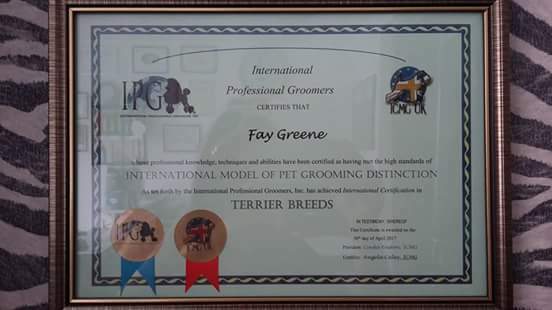 I gained my first City and Guilds dog grooming qualifications in 2004 at a local college. 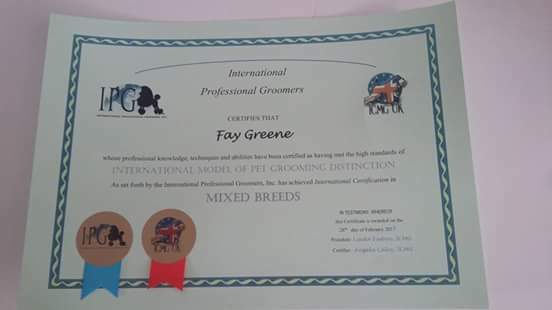 This sparked my passion for the industry and I groomed for a while after this but due to a growing family and other work commitments my grooming career had to hold. 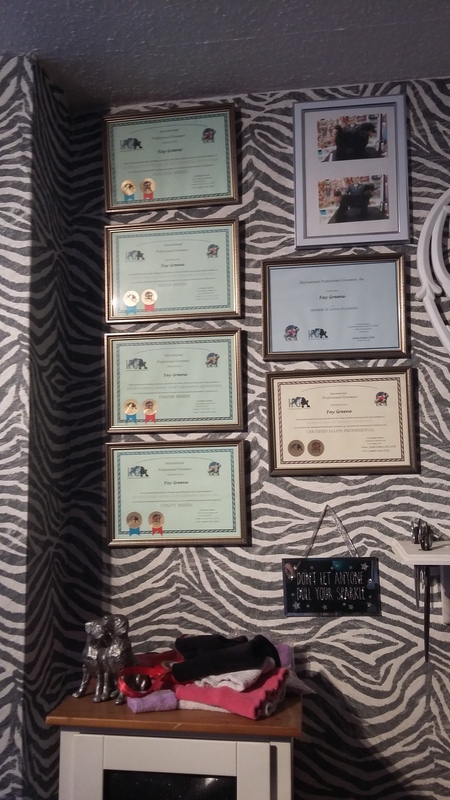 It was in 2014 when I opened my salon and was fortunate enough to be able to commit to grooming full time that would ignite an even greater passion and release my potential into this amazing journey that is unfolding before me. 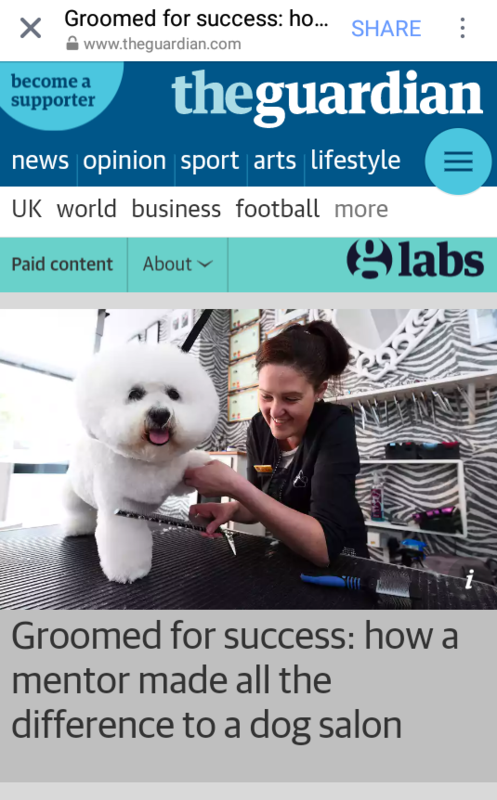 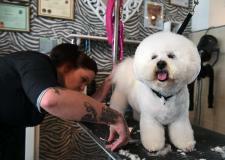 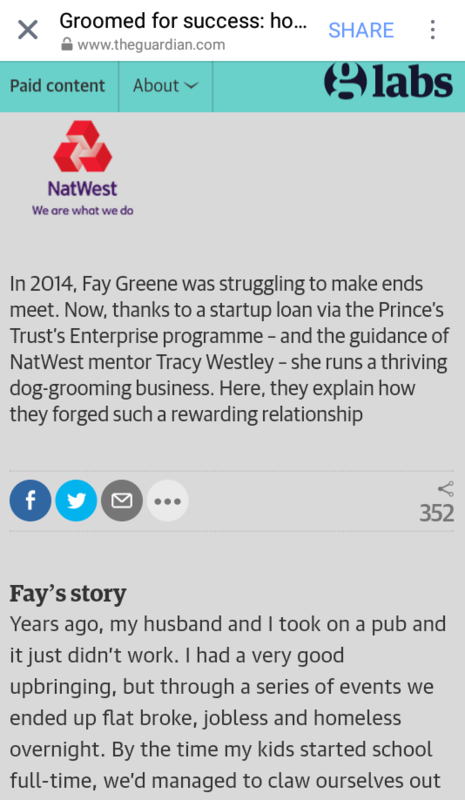 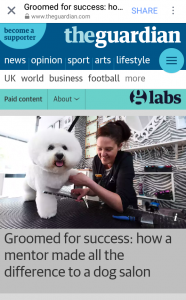 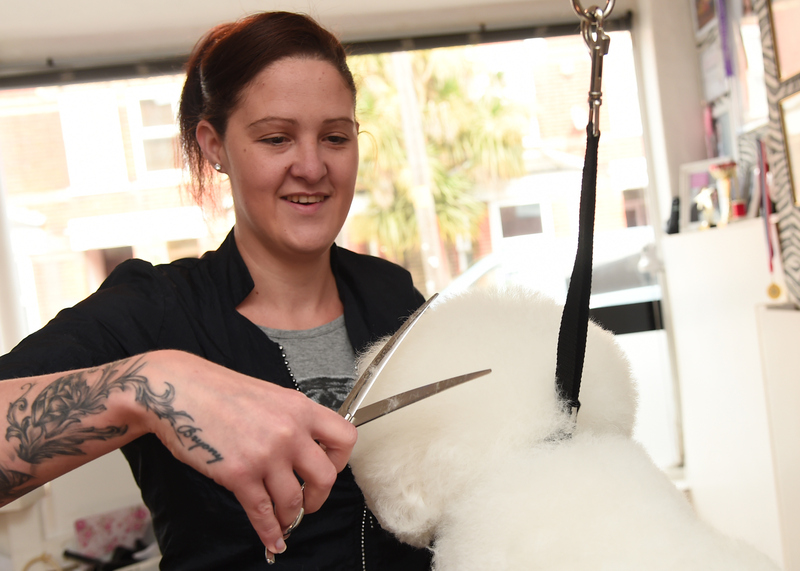 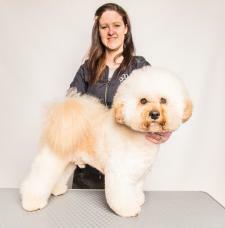 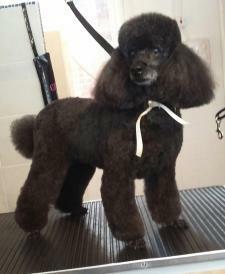 It was with the help of the Princes Trust that the dream of owning my own dog grooming salon became a reality. 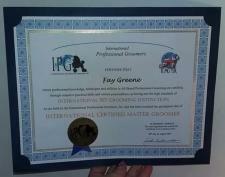 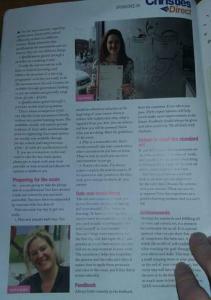 I attended the Enterprise Course (a small business course) and created an in depth business plan to present to a panel. 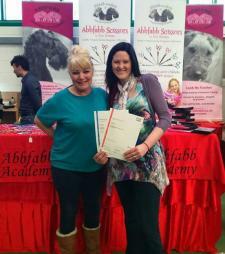 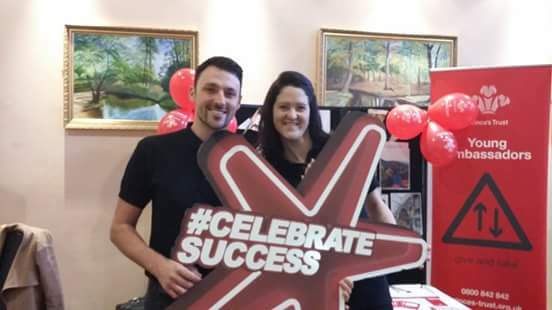 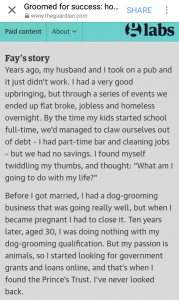 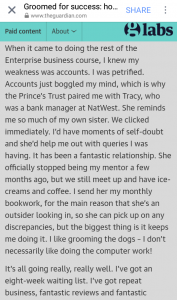 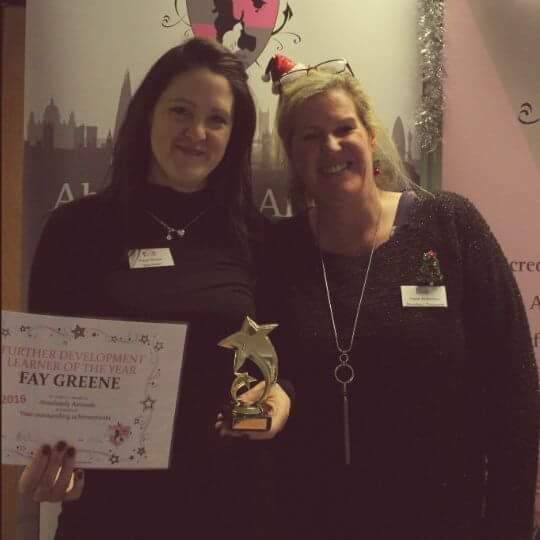 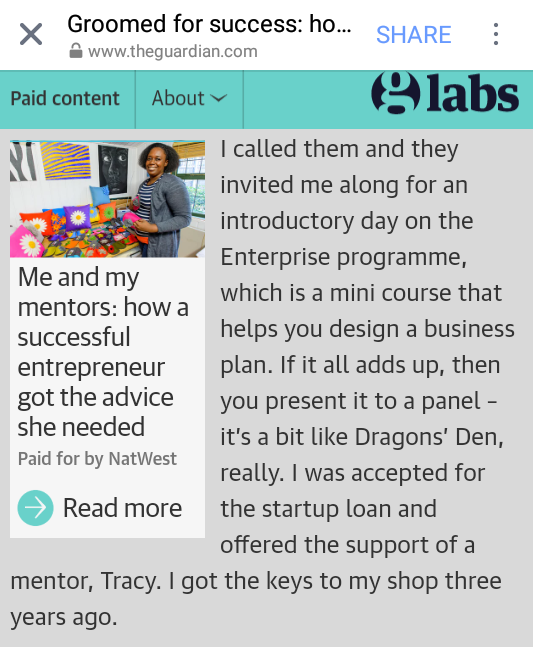 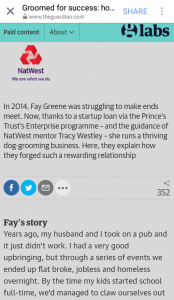 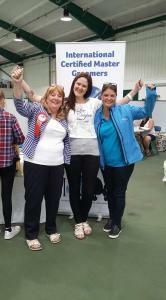 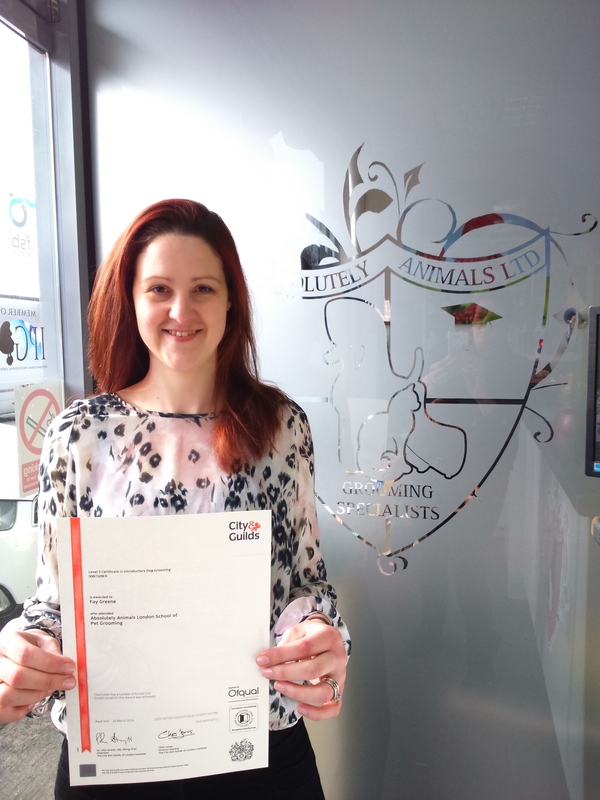 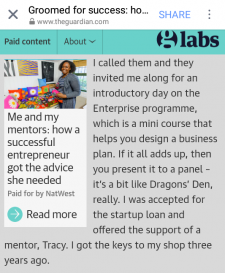 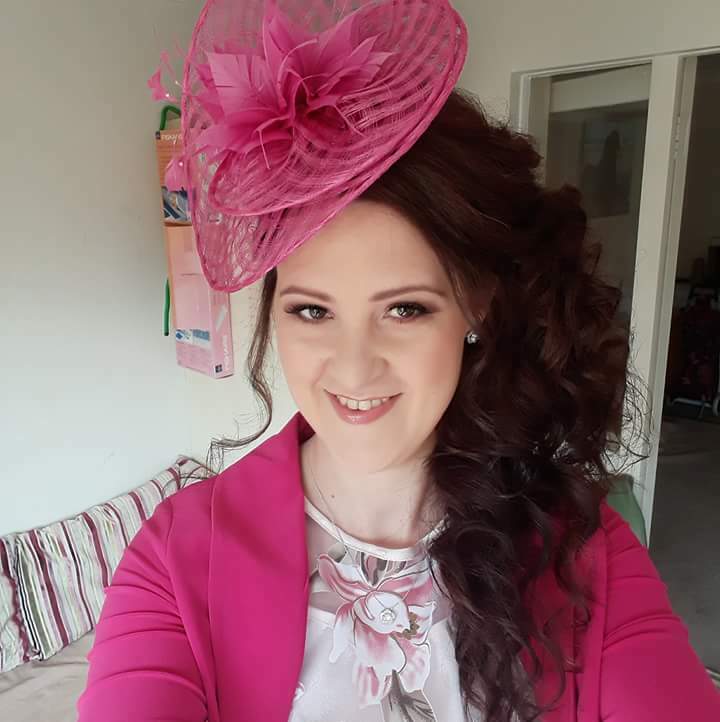 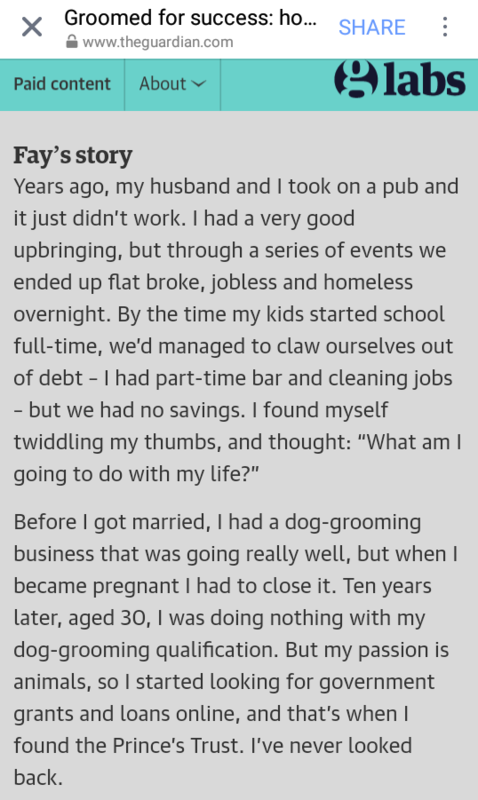 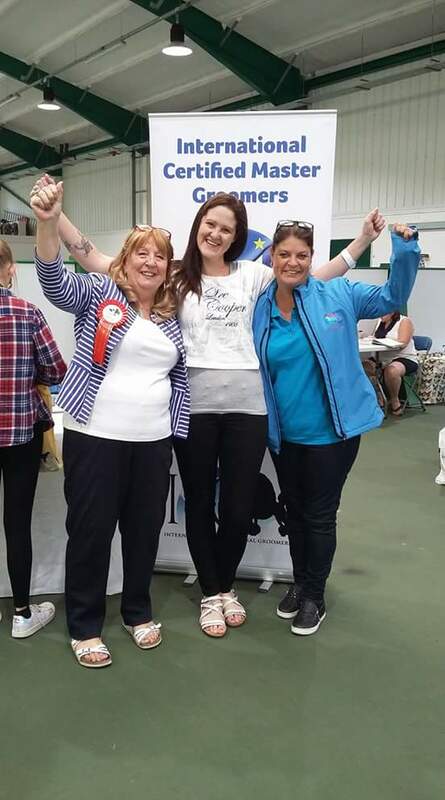 One of the best days of my life…I was accepted for the start up business loan and as a bonus awarded a business mentor, Tracy Westley (a bank manager). 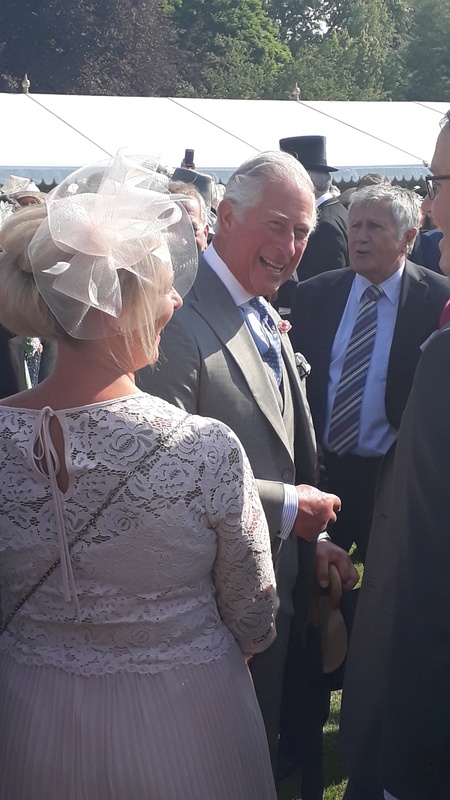 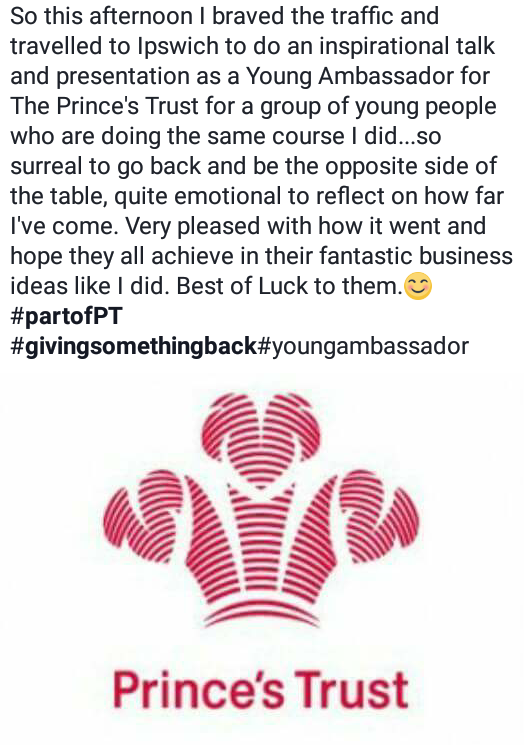 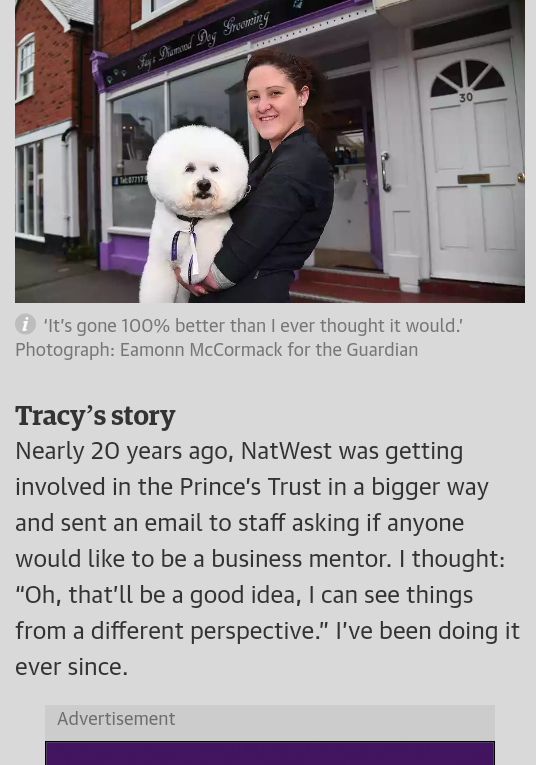 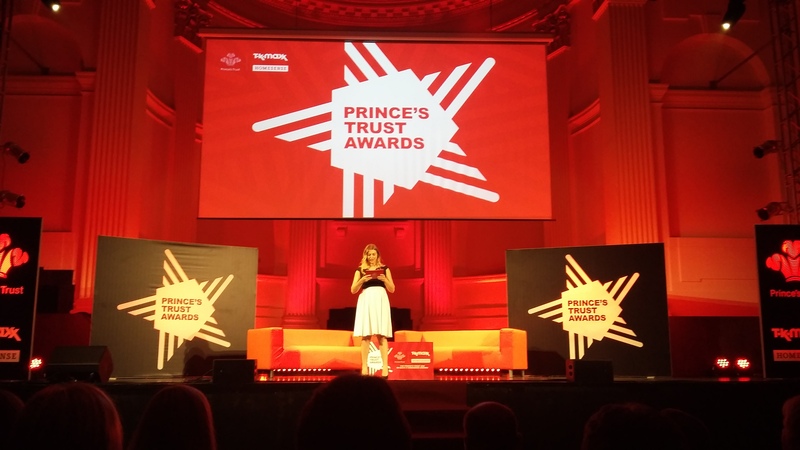 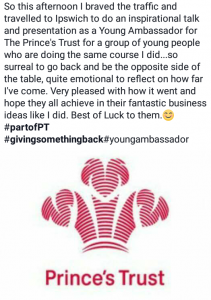 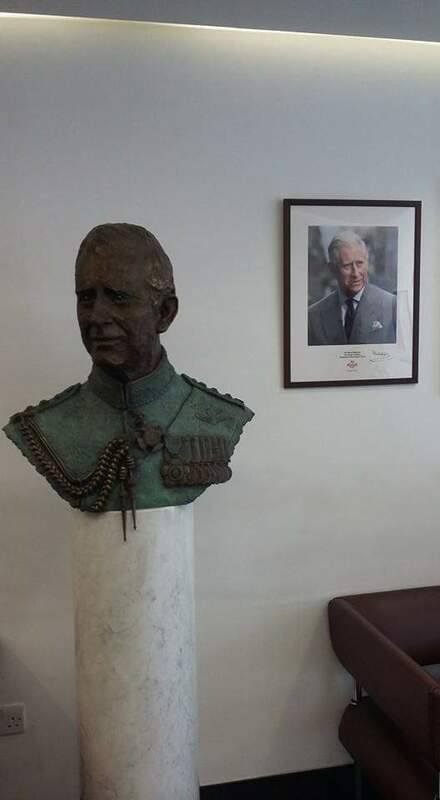 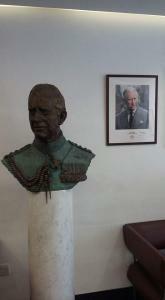 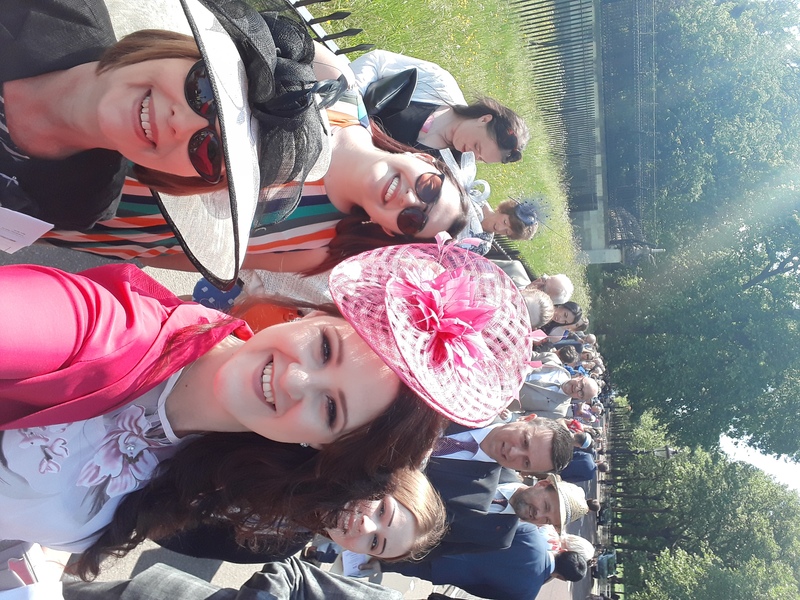 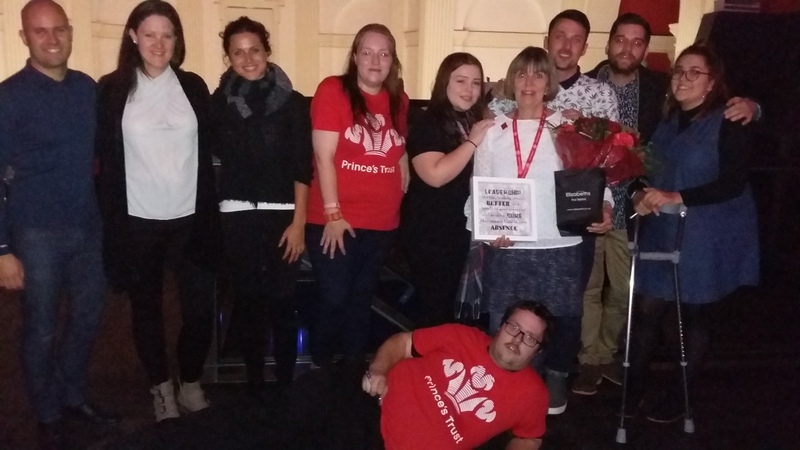 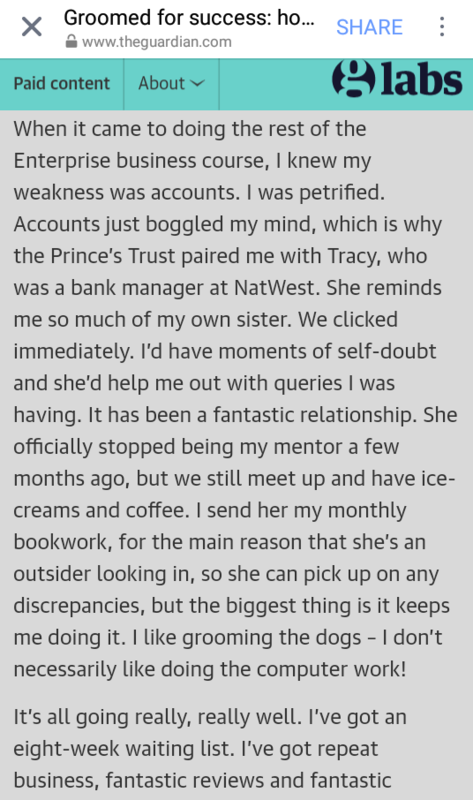 I am forever grateful and thankful to the Princes Trust and Tracy and am honored to be a Young Ambassador for them. 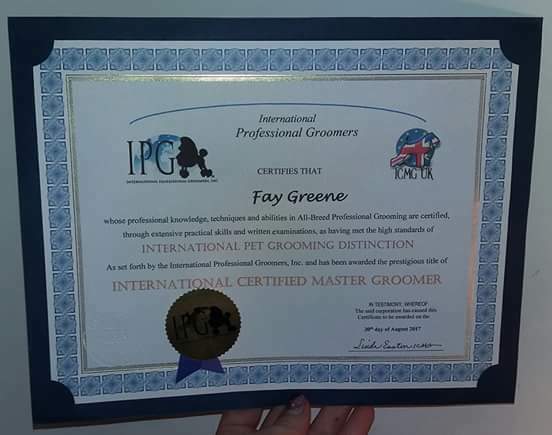  I am a firm believer in continuously striving to better yourself and to be part of an industry that is continually evolving I attend regular seminars and grooming shows to keep up with new trends and the latest equipment. 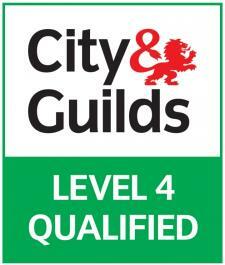 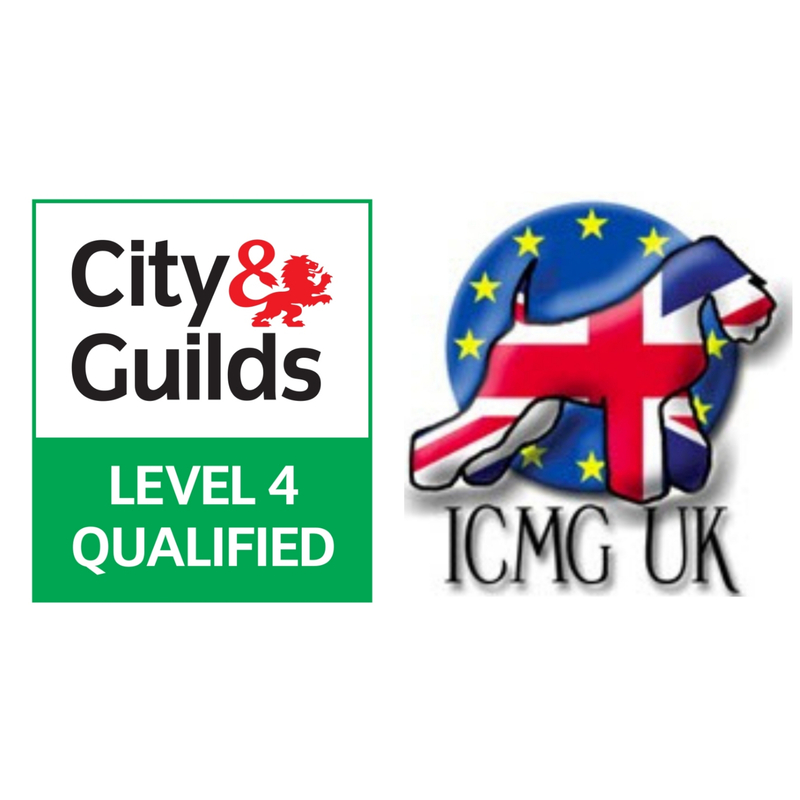 I have completed the City and Guilds LCGI. 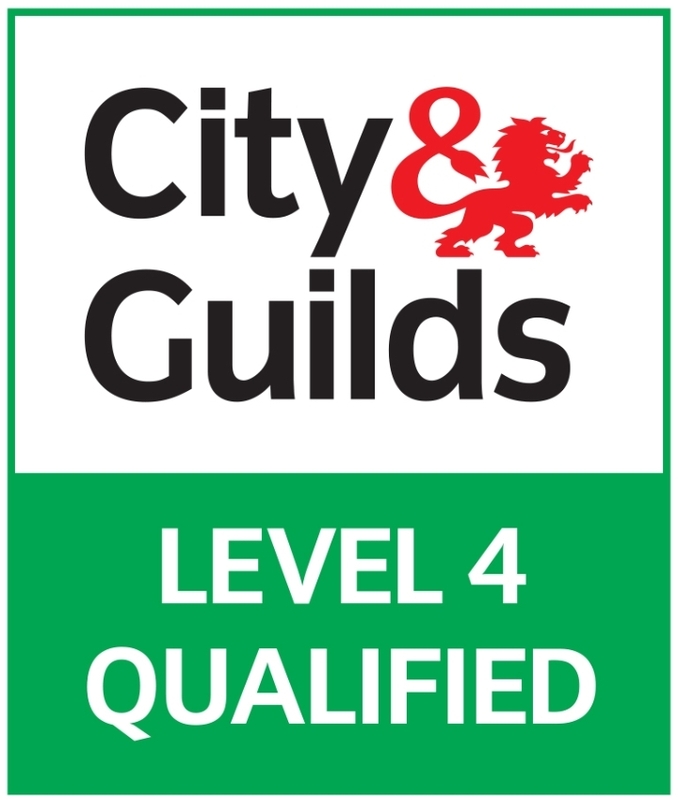 This is a level 4 professional recognition award. 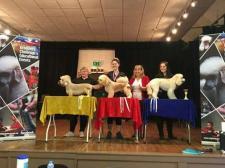 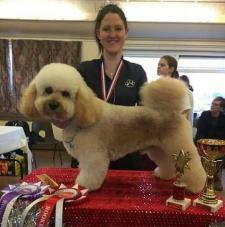 I have also tried my hand at competition grooming, joyfully placing 1st at one. 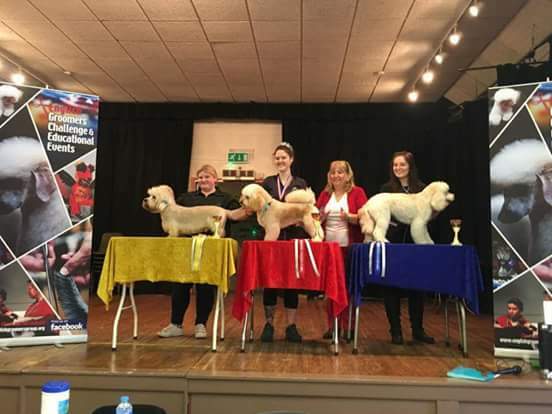 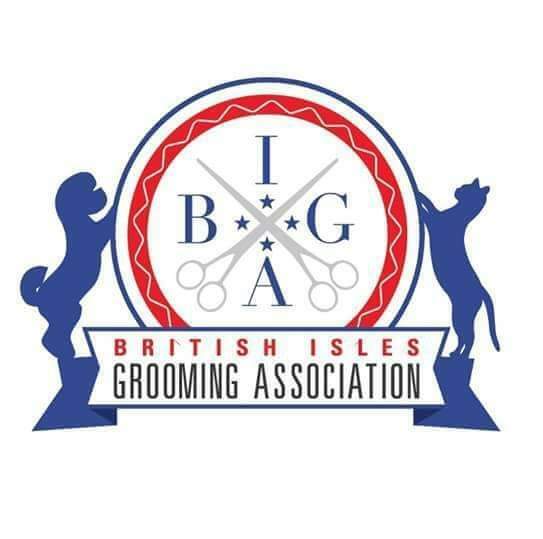 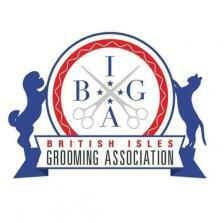 I am proud to be a member of both The Groomers Spotlight and the British Isles Grooming Association, they are both helping the industry to propel forward into the future with hopes of positive change and raising professionalism. 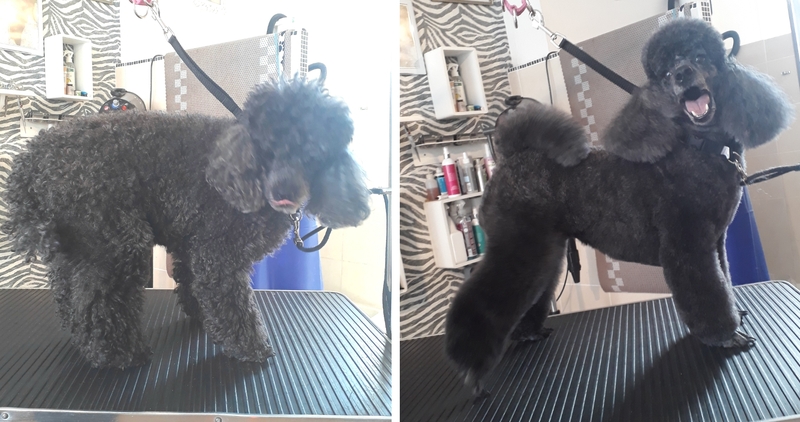 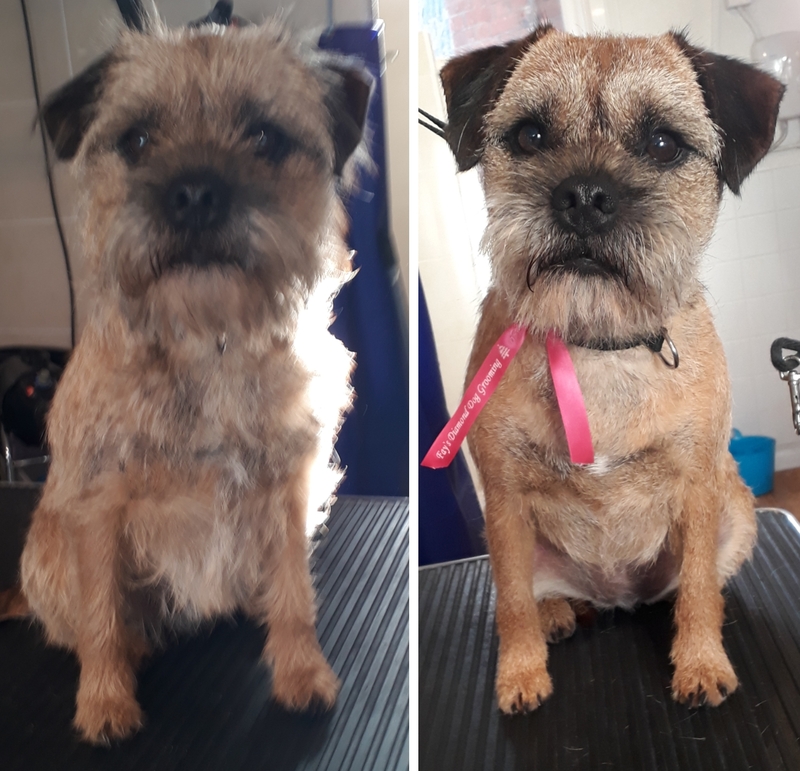 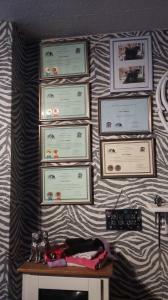 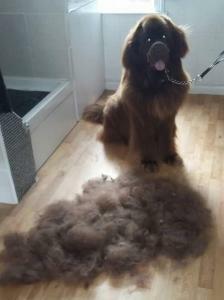 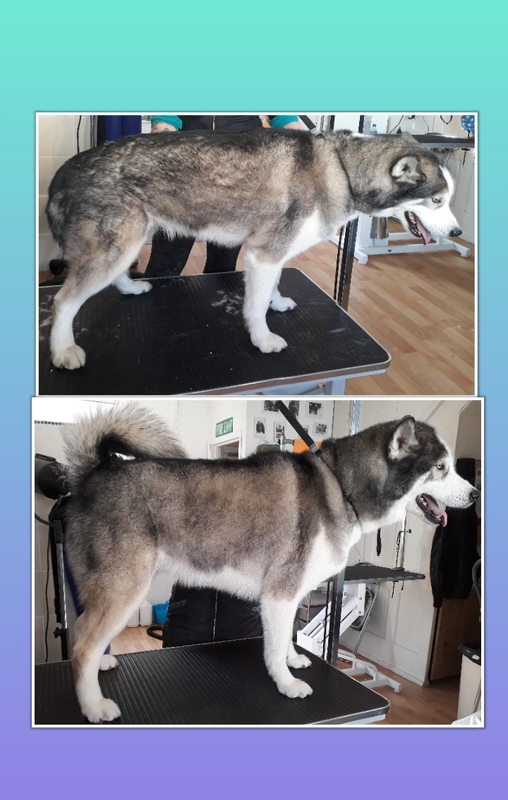 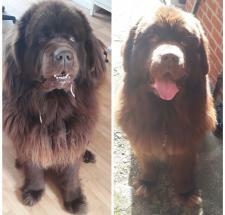 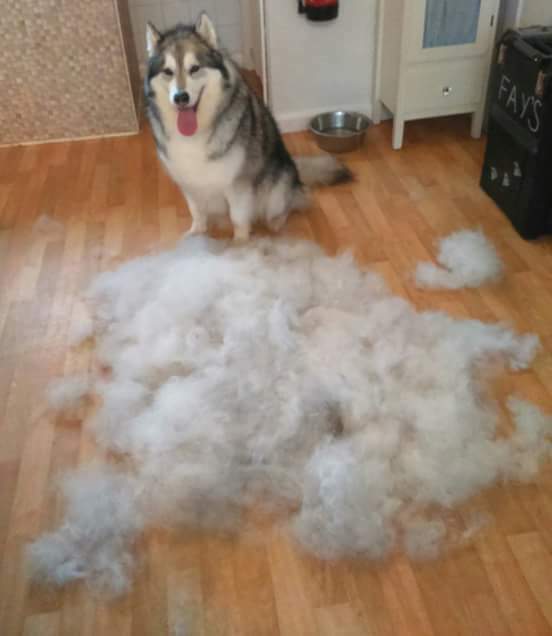 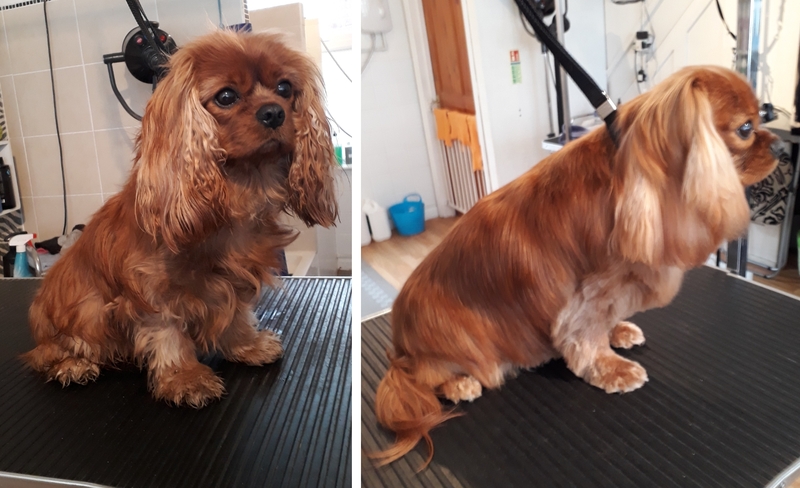 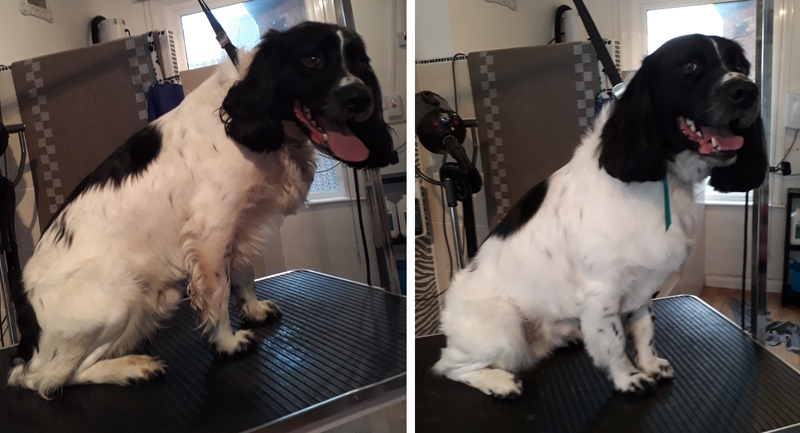 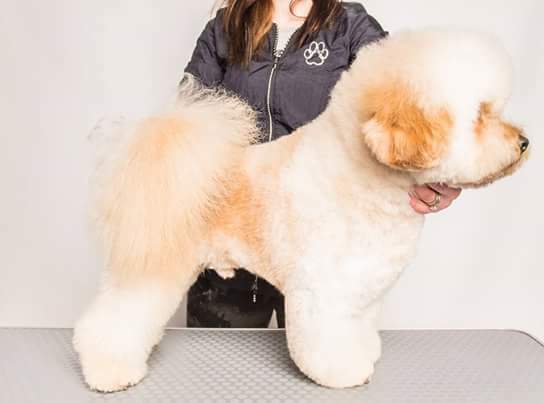 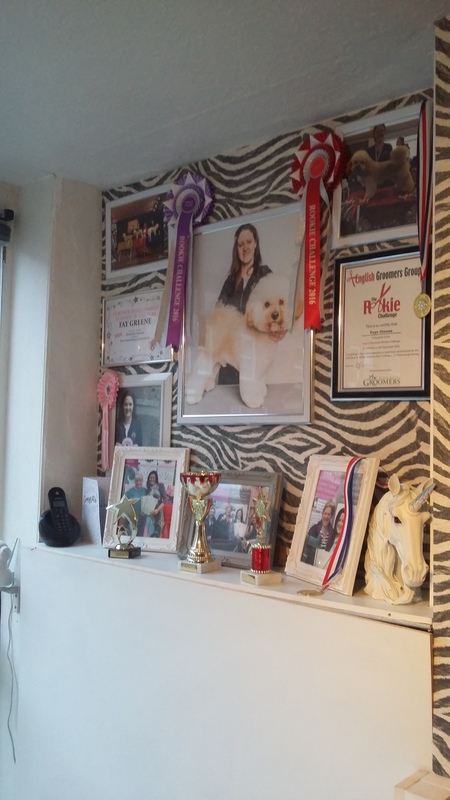 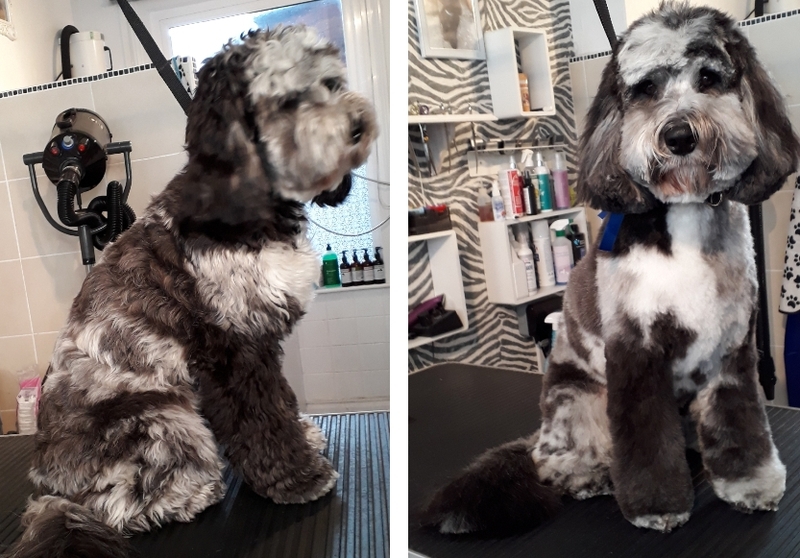 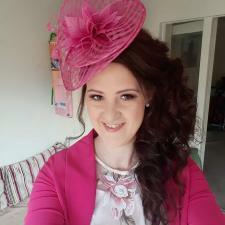 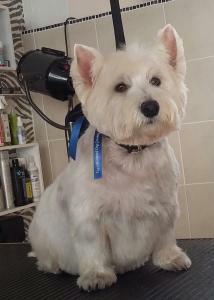 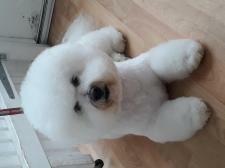 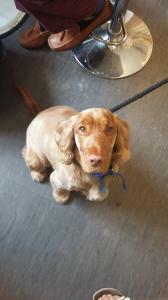 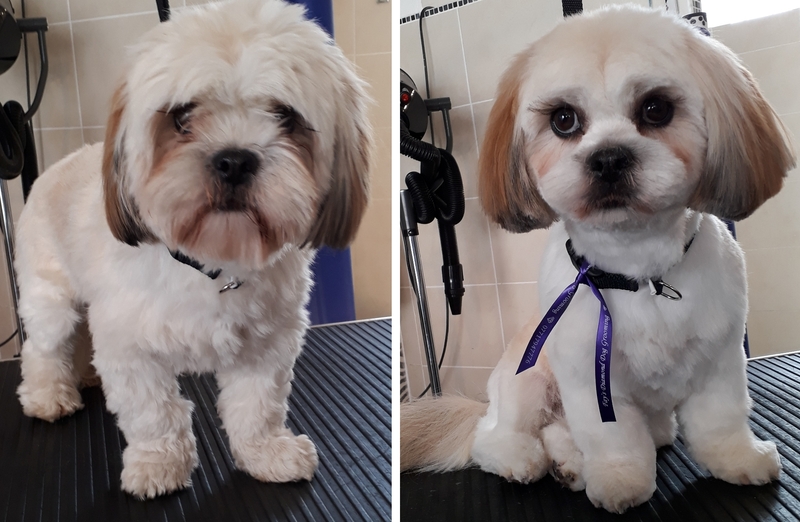 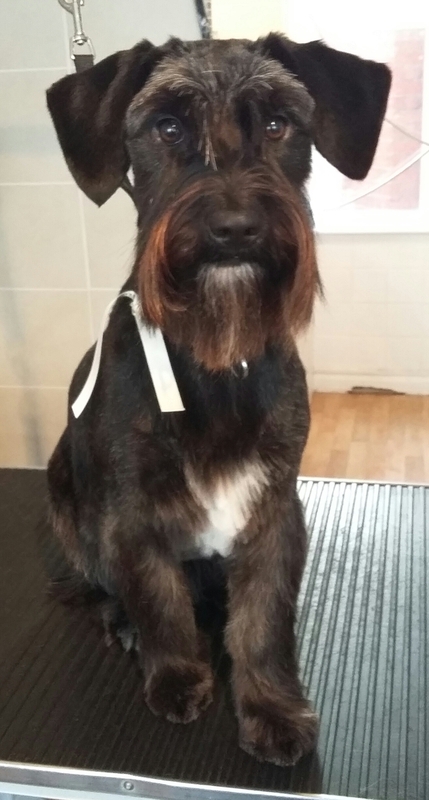 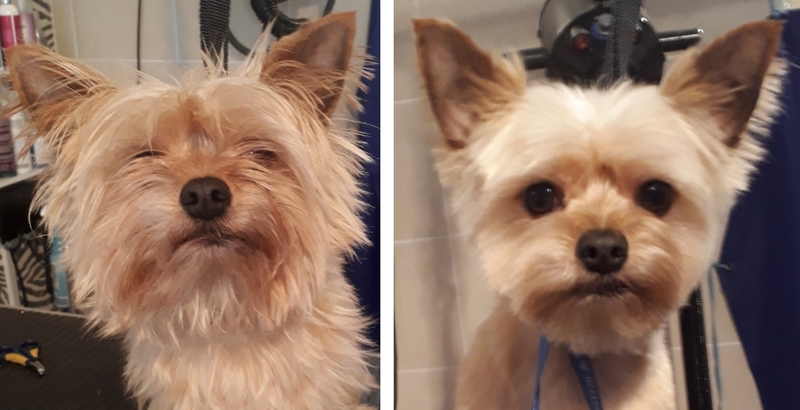 Whilst your pet is in my care I endeavor to create your preferred trim / hair style, catering for your specific needs to the best of my ability and always giving one hundred per cent throughout the entire grooming treatment. 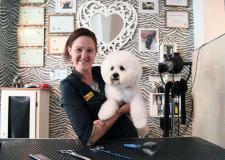 Ensuring all the while your pets safety and welfare is at the top of my priority. 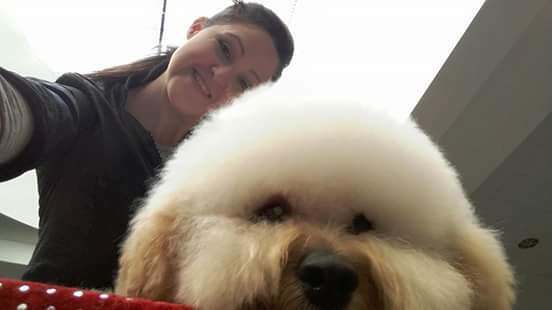 We take our Cockapoo to Fay regularly for his grooming; Fay is totally dedicated to her career, and cares deeply for the dogs she has in her care. 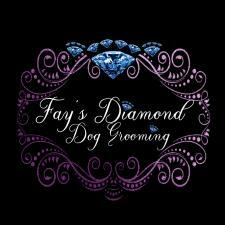 She is very professional and we highly recommend her. 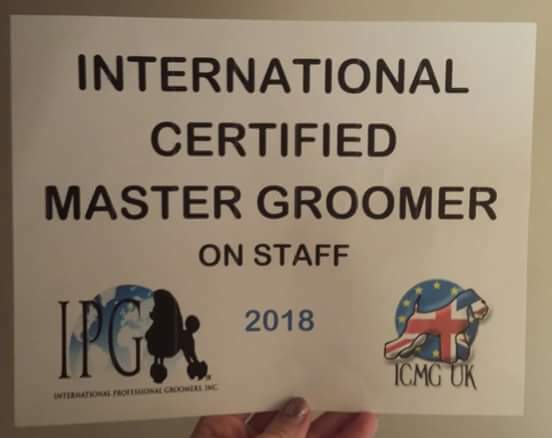 Gus our Jackapoo has been going to Fay for his grooming for the last 18 months and we wouldn't take him anywhere else now. 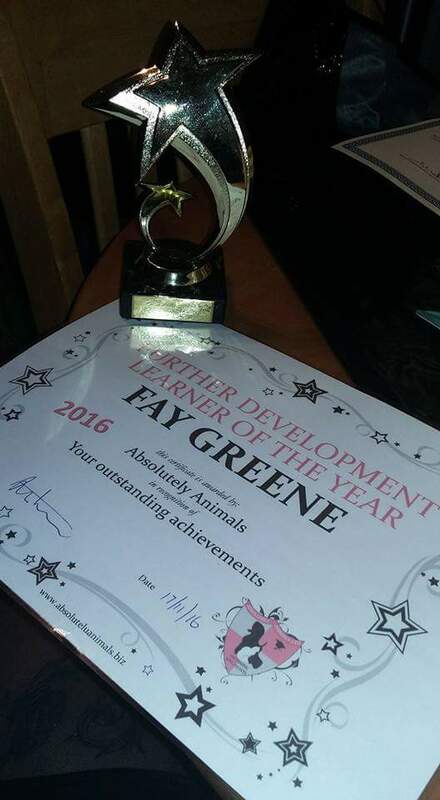 Fay's dedication to her profession and continued professional development is an inspiration. 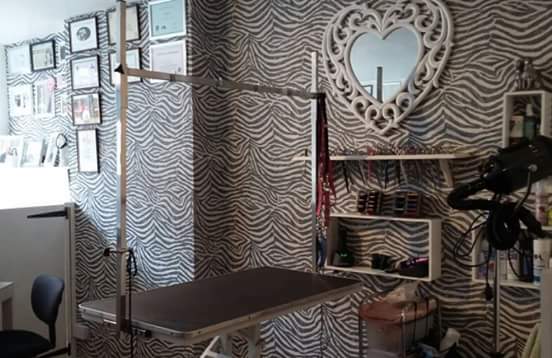 Aww thamk you Theresa for your lovely review and recommendation. My Cairn Terriers were involved in a severe dog attack, leaving one with a front leg amputation. Finding a groomer who could understand and accommodate their needs (including dog reactivity) has been so difficult. 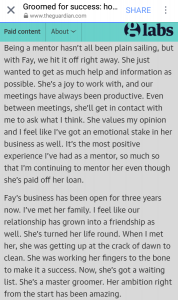 From the first time I spoke with Fay on the phone to our first consultation, she has been amazing. 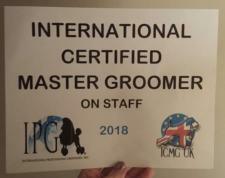 So professional, caring, kind and understanding. 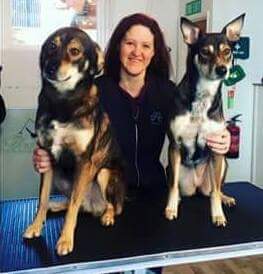 The boys love seeing her and I never feel they are rushed. 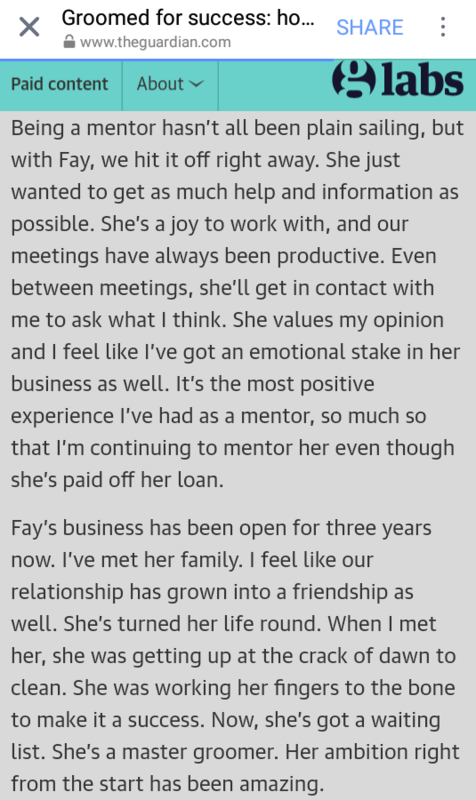 Fay takes time over them and paces things so Ronnie doesn't get worn out or stressed. Her grooming is also the very best we have ever had (in the last 8 years!) 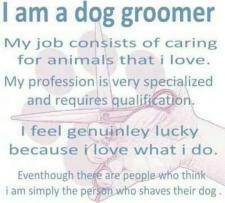 and her grooming advice has been invaluable. Couldn't be happier, wouldn't go anywhere else and well worth the hour journey each way.